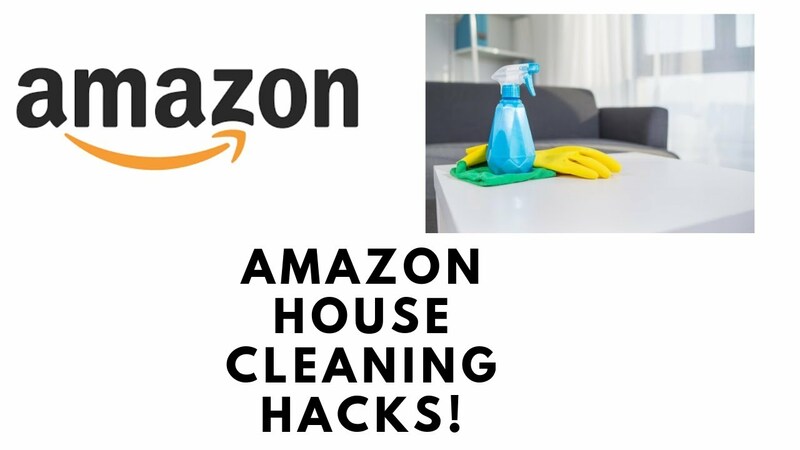 Amazon Home Services is a new system established by Amazon.com that provides its customers with professional services such as house cleaning, handyman services, home improvement, assembly services, and many more. From conquering the e-commerce market by accounting for almost half of all the sales that happen online in the United States, to creating the virtual assistant Alexa who is capable of voice interaction and carrying out duties like making to-do lists, setting alarms, providing weather, traffic, and sports updates as well as news, among other things, Amazon is making sure they remain a dominant figure in the everyday lives of its customers as they are beginning to offer all kinds of attractive and innovative services such as the Amazon Home Services. Amazon Home Services is one of the latest systems developed by Amazon.com whereby customers are able to schedule professional services such as handyman services, house cleaning and improvement, assembly services, and many more, directly from the e-commerce platform. According to Amazon, it has gone through the hassle of handpicking the best service professionals in all the areas where these services are offered. Issues such as background checks, licenses, and insurance, if applicable, will have been sorted out by the company, as charges go directly to the credit card you have on file with Amazon. On the part of the service professionals, a number of those available will get to compete for the job based on price, quality, and availability, leaving only the agreement of a suitable time frame and date for the service as the matter to be discussed and arranged between the customer and the professional. The service is further sweetened by its inclusion into Amazon’s Happiness Guarantee. This means that anytime a customer purchases a service on the Amazon.com website, like from the Amazon Home Services that is in question here, the company guarantees service quality. It further assures that if the service is not completed according to how it was agreed, or that there was a damage to the product or property as a direct result of the service being provided, Amazon will work with the customer and the professional to rectify/correct the problem, possibly offer money back to you or cover related property damages up to $2,500, and help in filing a claim against the provider’s insurance if applicable. 1. Dissatisfaction with the service provided. 2. The entirety of the service was directly purchased through the Amazon.com website or app. 3. The scope of work was limited to the description of the service listed on Amazon.com or was changed through Amazon’s systems. 4. The service appointment was completed within the last 90 days or 7 days in terms of cleaning services. Amazon Home Services are available in a good number of cities all across the United States and its territories. To find out if your city is included, visit www.amazon.com/services to see the current list of available locations as the list is frequently updated with new locations and different kinds of services. When on the website, to find out if a particular service is available near you, click on the service in question, such as iPhone Repair, House Cleaning, or Exercise Bike Assembly and then enter your zip code into the field provided to commence a search. To sell your professional services through Amazon Home Services, you are required to have general liability insurance with a limit of $1 million dollars per occurrence and a license for your trade profession. These requirements will be asked for during the registration process and a failure to meet them will certainly mean that Amazon will not be able to approve you for their platform. To apply, visit the Amazon seller services website here and complete the registration form. 2. Find the service that you are looking for and add the specifications required to personalize your service before clicking on ‘Add to Cart’. 3. Select ‘Proceed to Check Out’. 4. Provide an address/location for the service. 5. Select your preferred time frame for arrival (Add up to three preferred dates of appointment). 6. Give the professional/service provider the opportunity to contact you with any possible questions relating to the service before the day of the appointment by checking the appropriate box. 8. Choose your payment method then review the order before going ahead to select ‘Place Your Order’. Customers have the option of using their Amazon reward points to pay for Amazon Home Services. If you don’t have enough points to pay for the complete purchase of a service at any time, you can choose to pay the additional cost with any of your credit or debit cards which is on file with Amazon.com or indeed an Amazon.com Gift Card. See Also: Does Amazon Price Match? Do They Consider Best Buy, Walmart, Target? Like most other services provided by Amazon and even any other e-commerce platform, Amazon Home Services has made available coupons and promo codes to its customers to give them a discount when they are making a purchase of a service. These codes can give a discount from anywhere between 1% to 99% off of what you are buying. Below are some of Amazon Home Services promo codes. To contact Amazon’s customer care for any reason whatsoever, call its 24/7 line on 1(888) 280-4331 or log into your Amazon account and scroll to “Help” at the bottom of the Amazon.com page. Click on “Need More Help?” and choose the problem that you need to contact Amazon about and then decide how you want Amazon to contact you. Customers will face no penalty if they choose to cancel or reschedule an appointment 24 hours or more before it was scheduled. There is also no penalty for canceling an appointment that doesn’t have a confirmed date and time. If however, the cancellation occurs anytime within 24 hours to the confirmed appointment date, the customer may face charges of up to $25. What Is Robux? How To Get It Free Or Give To people, Is It Safe To Buy?